We want you to be comfortable with your medical provider. UFMC employs some of the Southern Colorado’s most knowledgeable, well-trained physicians and nurse practitioners. Their expertise includes up-to-date training on the latest in medical treatments and advances paired with decades of experience. Your trust in our physicians and practitioners and their medical recommendations is what our practice is built on. Dr. Lawrence Anaya, MD is a New Mexico native who has lived in Pueblo since 1985. He moved here to complete his Family Medicine Residency training at Southern Colorado Family Medicine. Dr. Anaya obtained his Bachelor’s degree from New Mexico State University and graduated from Medical School at University of New Mexico School of Medicine. He strives for excellence in his medical practice and is Board Certified in Family Medicine. He loved the small town feel of Pueblo and joined University Family Medicine Center where he still practices. Dr. Anaya is married and has 2 children. He has been very active within the community and has served on several Board of Directors of different organizations, including Sangre de Cristo Hospice, Rosemont Museum, Boys and Girls Club of Pueblo, Morton Elementary Oversight Committee, Pueblo Country Club and YMCA of Pueblo. He is also the Medical Director of Crossroads Turning Point. 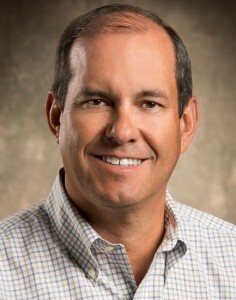 His outside office interests include fly fishing, skiing, hiking, biking, golf, travel and spending time with his family. Dr. Gwynn Antonson grew up in Pueblo. She received her undergraduate degree from Colorado State University-Fort Collins in 2004 and her doctorate degree from Kansas City University of Medicine and Biosciences in 2008. Her family medicine residency was completed at Aria Health in Philadelphia, PA and UMDNJ in New Jersey. Her first year of practice was in the position of Medical Director of Bariatric Services at Adirondack Medical Center in upstate New York. Dr. Antonson is happy to return to Pueblo, CO where she can be closer to family and start practicing at University Family Medicine Center. 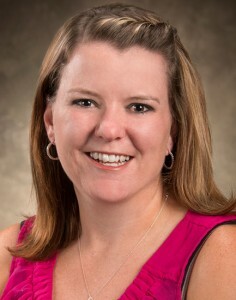 She is Board Certified in Family Medicine and Board Eligible in Bariatric Medicine . Her special interests include bariatric medicine (weight loss/obesity treatment) bio-identical hormone replacement therapy and dermatology. In her free time Dr. Antonson enjoys traveling, cooking, camping, golfing, swimming, watching the Broncos, and spending time with her family. She is happily married to her husband Brett, who is also a Pueblo native. Laura McMahon is a respected Family Nurse Practitioner at University Family Medicine. She is a Colorado native who grew up in the Arkansas Valley and has always had a passion for helping people. After graduating from Swink High School, she attended Regis University, in Denver Colorado, to obtain her Bachelors in Nursing. Upon receiving her degree in 2003, Laura obtained a job at Swedish Medical Center in Englewood. There she worked on the Multi Trauma Unit focusing on trauma victims and spinal cord injuries. After moving back to Pueblo to be closer to family, she decided to obtain a Masters in Nursing while she worked in the ICU at St. Mary Corwin. Laura graduated in 2009 from the University of Colorado in Colorado Springs with her Masters in Nursing as a Family Nurse Practitioner. She loves family practice and sees patients of all ages keeping her days exciting. Laura’s loves of her life are her two daughters and being able to serve the citizens of this region. My name is Veronica Ritchey and I am one of the Nurse Practitioners that comprise University Family Medicine Clinic. I am one of the newest members to this wonderful team and am happy that we have such a family centered group of people working together to make this organization run smoothly and efficiently. Although I am one of the newest members of this team, I have been in the Nursing profession for over 22 years and have a vast amount of experience in many different areas. I am originally from Missouri but have chosen to call Colorado my home. My family and I love to be active in sports and outdoor events as well as spending time with our friends and family. I started my career in the US Army as a Medical Specialist in 1992. I worked in Emergency Medicine in the Emergency Room and on the Ambulance team with National Certifications. This is what lead me to Pueblo, Colorado in 1995. I began my degree at the University of Southern Colorado graduating with my BSN in 2000. I later completed my degree at The University of Colorado at Colorado Springs, Beth-El College of Nursing with my Masters of Science in Nursing, Family Nurse Practitioner, as well as course work in Nursing Administration. Although not a native, I obtained my degrees right here in the State of Colorado where I continue to reside and care for my patients. I worked at Parkview Medical Center for over 14 years in multiple different areas as I obtained my education and climbed the ladder in nursing. My specialty was in the Neuro Trauma ICU where I worked with acute, critically ill, and injured patients with traumatic brain injury, and spinal cord injuries, as well as unstable trauma patients before they were stable enough for step down or rehab units. I also worked in the Emergency Department, Medical Surgical/Ortho, and was Charge Nurse for the floor. I also was a vital member of the implementation team that originated the JCAHO Certification in Disease Specific Care in Stroke at Parkview Medical Center. I helped educate the hospital and the community about Cerebral Vascular Accidents, strokes, and the risk factors as well as stroke prevention. I want to thank you for investing your trust, and health with us at University Family Medicine Clinic and know that we will continue to do our very best to keep you, and your family healthy. 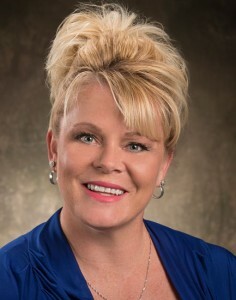 Dr. Wills is a native of Northern Colorado and a proud alum of the University of Northern Colorado in Greeley. 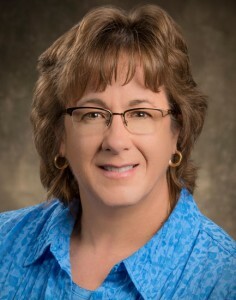 She pursued her medical education at Kirksville College of Osteopathic Medicine and graduated in 1988. Her experience includes work at Lakeview Hospital in Milwaukee, WI and family residency at Des Moines General Hospital in Iowa before coming to Colorado. Acknowledging her own high standards in medicine, she became Board Certified attaining national recognition through the ABMS for her medical knowledge, experience, and skills. Dr. Will’s Board Certification elevates her credentials beyond that of the standard medical license and validates her extensive medical knowledge. Dr. Wills fell in love with family practice recognizing her enjoyment for treating the full-spectrum of family needs. A devoted wife and mother, Dr. Wills is happily married with two children. Her love of medicine is equally matched with her enjoyment of gardening, sports activities, and spending time with her family. 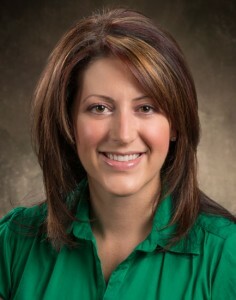 Marissa Lussier is a certified Family Nurse Practitioner at University Family Medicine. She was born and raised in Pueblo, Colorado. She is a high school graduate from Pueblo West High. She graduated from Colorado State University-Pueblo with a Bachelor’s of Science in Nursing. With her degree she worked at Parkview Medical Center and St. Mary Corwin Hospital as a Registered Nurse. She worked in same day surgery and a medical surgical floor/neuro-trauma step down unit. In 2015, Marissa returned to Colorado State University-Pueblo to pursue her Masters in Nursing. She graduated with honors and completed her Family Nurse Practitioner and Acute Care Adult/Gerontology Nurse Practitioner. She loves working with her patients and taking care of their family needs. Marissa loves spending time with her husband and family here in Pueblo. She also enjoys going to the gym, crafting, traveling, and anything outdoors.